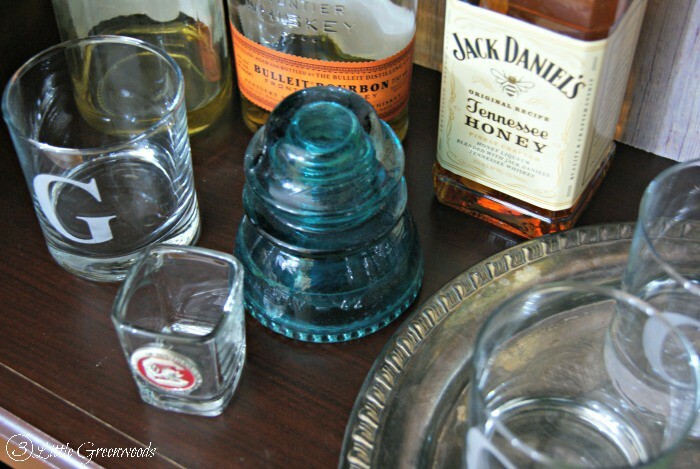 Oh how I love an easy DIY decor project that adds a punch of pizazz to our home! With the help of an inexpensive “Vintage Wood” paper our home office now has a Faux Wood Backed Bookcase. Just like most of the furniture in our home office, this laminate bookcase was a hand-me-down. 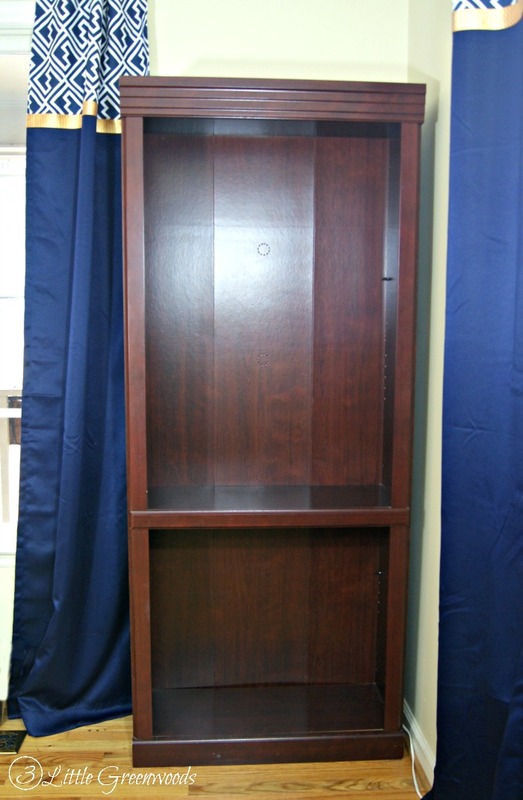 The bookcase is sturdy and provides lots of display place but it was so plain. The cherry wood finish was dated and needed a shot in the arm to jolt it into this decade. This post may contain affiliate links marked with an asterisks. Click here to see my full disclosure policy. For a brief moment the thought of painting the bookcase crossed my mind. 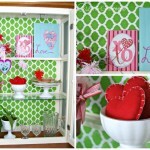 Then I thought about the vibrant green trellis wrapping paper I adding to the Kitchen Hutch for Valentine’s Day. 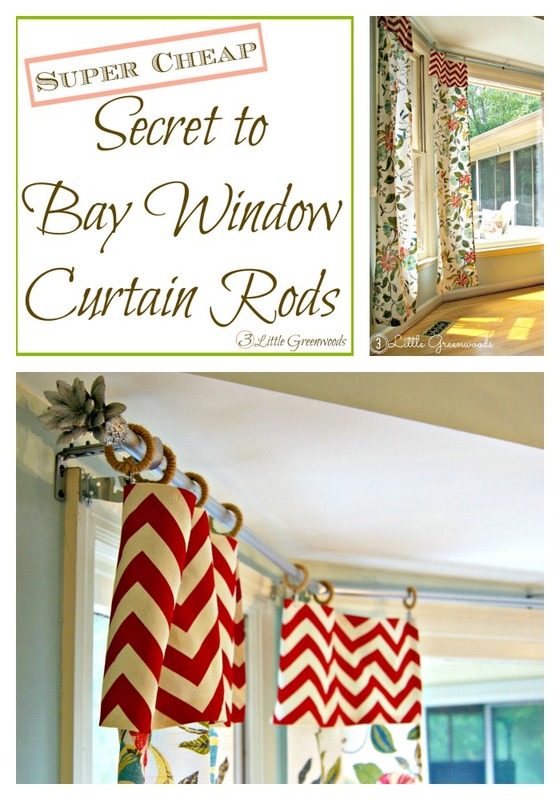 That was such a simple DIY decor idea that I had to try something similar in the home office. 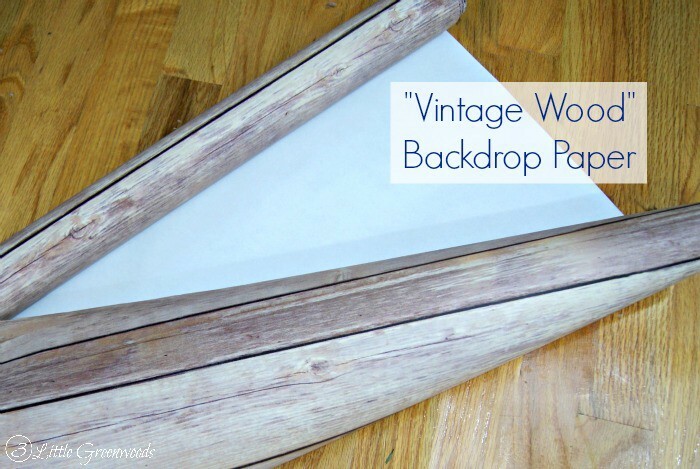 I ordered this “Vintage Wood” Backdrop Paper* for less than $10 on Amazon. The wood tones are just what I envisioned a faux wood back for the bookcases. A little bit of measuring. A little bit of double sided tape. And ta-da! A fabulously faux “Vintage Wood” Backed Bookcase! Adding the faux wood paper took minutes. With only two hours left until preschool pick up, I quickly gathered fun and meaningful pieces to decorate the shelves. 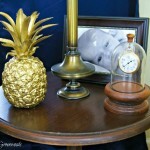 This is going to be Honey’s little corner so I really wanted to focus on things he loves. 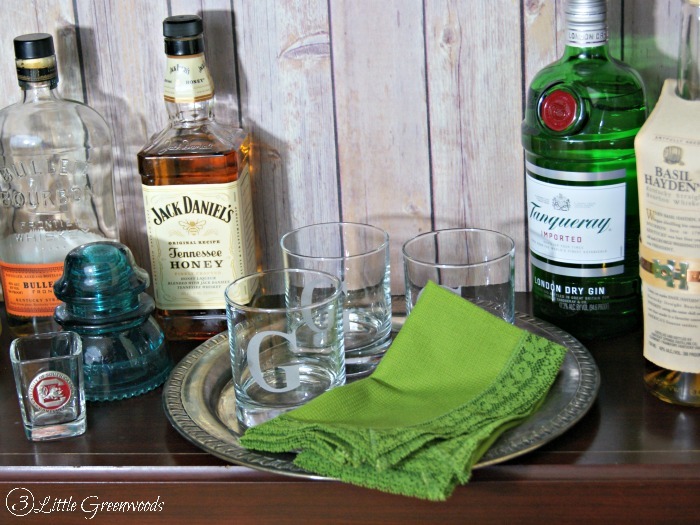 The first shelf was filled with his favorite beverages and new monogrammed glassware. You know that saying “Always a Bridesmaid and Never A Bride”? Well, I think Honey has been a groomsman in every one of his best buddies’ weddings. 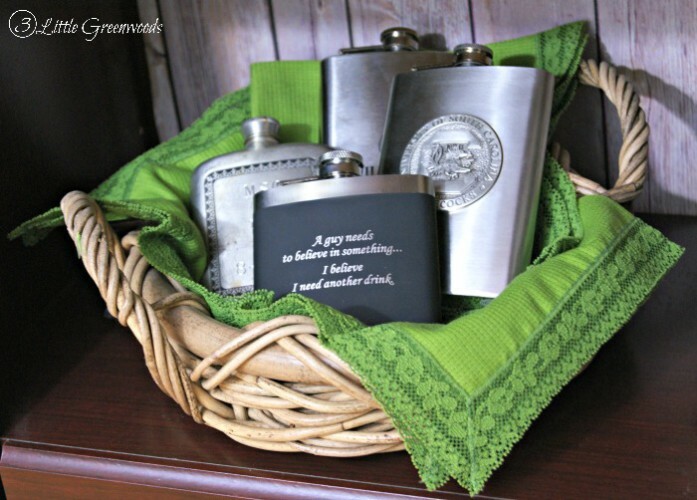 He has quite a collection of flasks from each of the friends he stood with during their nuptials. The flask on the top gives me a chuckle each time I read it. Honey is also an avid outdoorsman. 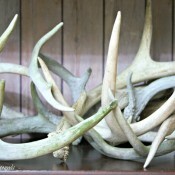 When I asked for antlers he brought home a ton from the family farm. Tangled together they look like a piece of sculpture on the bottom shelf. There are a few more pieces on the bookcase I would love to chat about but I’ll save those for another day. 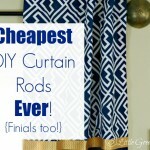 The home office update will be complete soon but until then I’ve got many more DIY decor projects to share with you. It’s amazing what a $10 rolled of faux “Vintage Wood” paper can do for a bookcase. 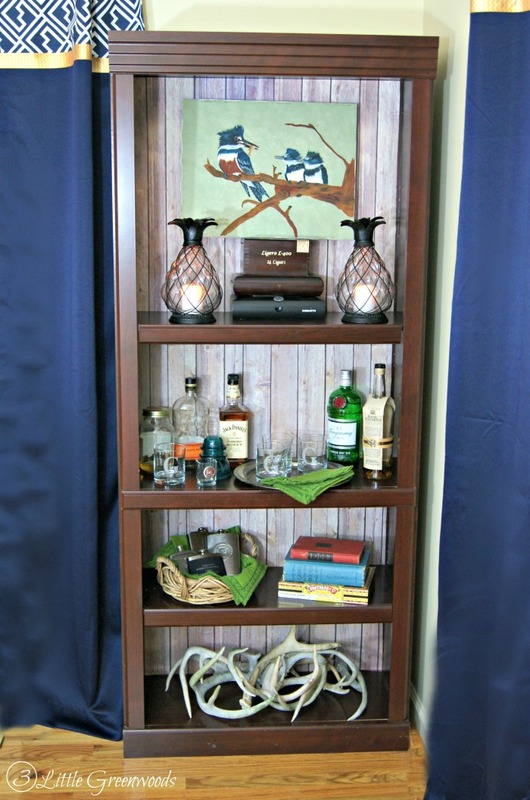 The faux wood backed bookcase in our home office looks so fabulous! 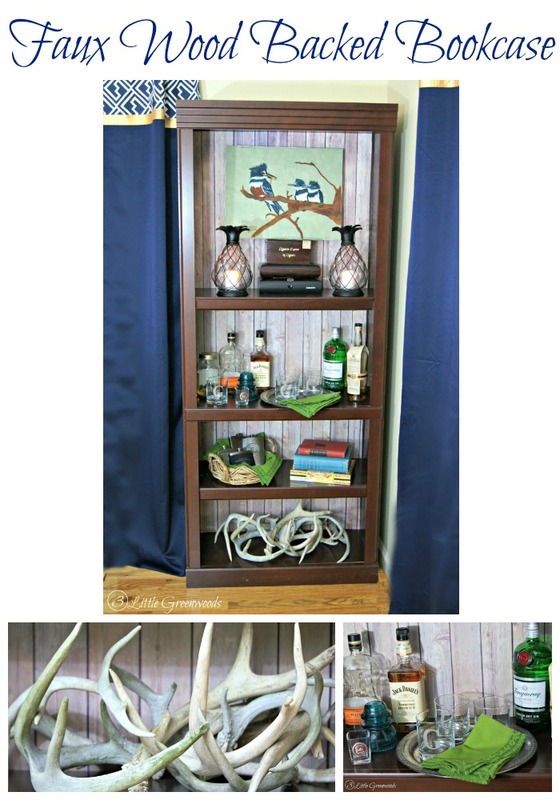 Now I’ve just got to add this simple DIY project to the other two bookcases in the room! I would love to know what special pieces are on your home office bookcases! What’s your favorite item? Wow this is gorgeous!! Looking forward to seeing your other projects! I do believe I have that exact bookcase. I love what you did with yours. When I first saw it I thought the back was bead board that had been painted and distressed. Imagine my delight to find that it’s paper! I painted mine white (going for a beachy look) and I’m thinking some paper would really give it a pop of color. 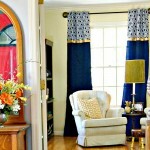 Your redo’s are always fantastic. Aww, thanks so much Alli! I really did think about painting it but thought the dark wood tone looks great with the manly home office theme I am going for. Great project Ashley, it’s hard to believe that’s paper…it looks just like wood! 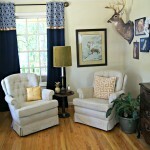 I love how you dedicated a space for your honey and his interests…gee, think he’d send a few antlers my way lol?? This is so clever! I love it! And I really need some of that faux wood paper. Amazon! Amazon has everything doesn’t it? What a great idea!! 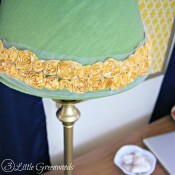 I have some shelves I want to do something with and this looks quick and easy!! 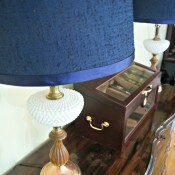 Adding faux wood paper to the backs of the bookcases was SO easy! Get some and try it out! Simply genius! It does not look like paper. 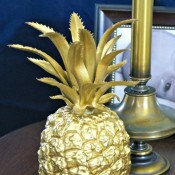 I did something similar but I used an MDF faux beadboard in white. 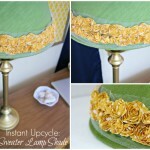 I love this idea — much simpler and faster than mine! This is so innovative and definitely has a cool look! My parents have used wall paper for the same effect in the bathroom to look like blue wall panels. 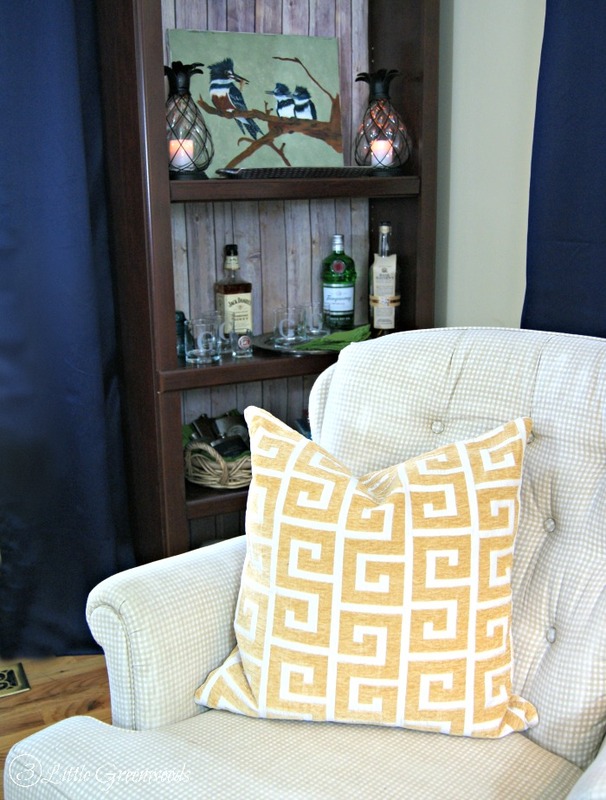 I love the look of the bookcase and the way you styled it! Thanks so much for the sweet comment, Sarah! I loved filled up the bookcase with pieces that are special to my husband. That looks great! What a simple fix! Isn’t simple awesome? Thanks for the comment love! I love this option, Ashley! It really classes up the bookshelf and adds a bit of depth to the entire room. Plus, it’s such a simple fix. My favorite kind of design project! I love it! I think I bought the same paper for picture back drops! I love that paper! And how perfect for a bookshelf! 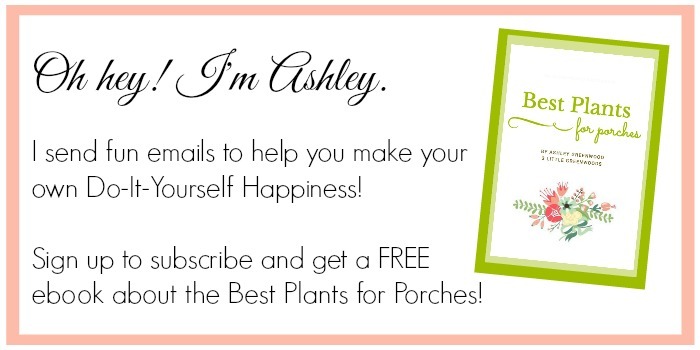 Thanks so much for sharing it at our party, Ashley! What an awesomely simple idea! It looks great 🙂 Backdrop paper is a genius idea! 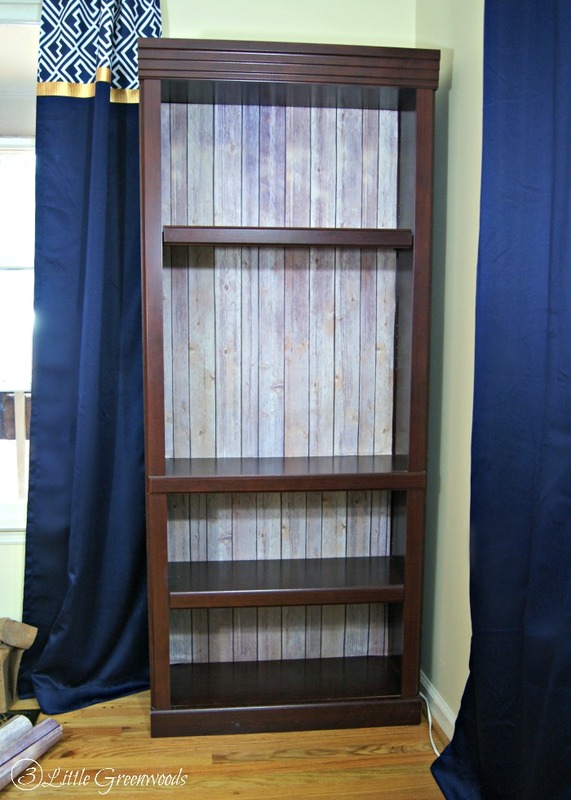 Thanks so much for the comment love about my “wood” backed bookcase! Ashley, the wood look backing adds so much character to the bookcase. Thanks so much for sharing with SYC. Great find! I am off to Amazon to look for that stuff. I have the perfect book cases for it! Thanks for linking up! What a simple but great idea, thanks for sharing! Thanks so much for the comment love! 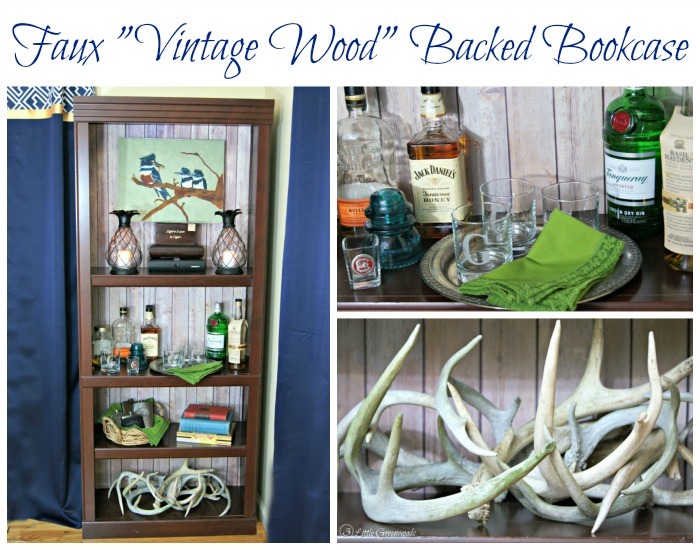 I hope my “wood” bookcases have inspired you! You did a great job! 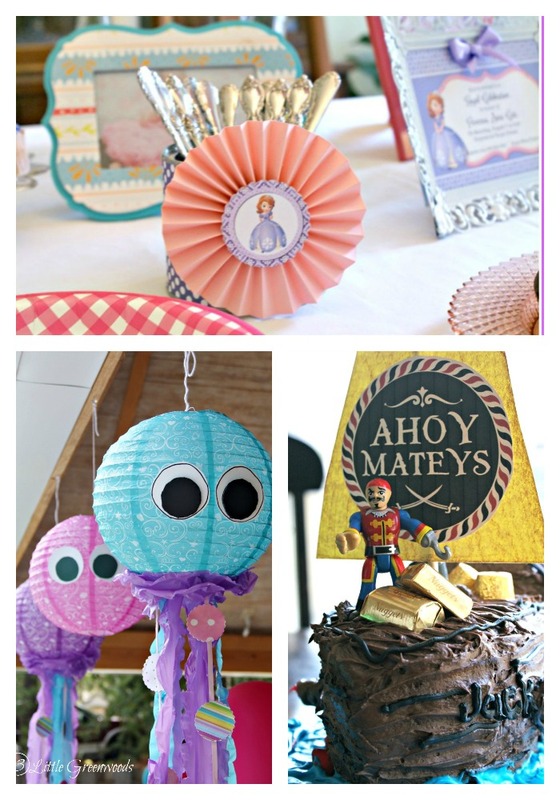 Thanks for linking your hard work up to the #ShineBlogHop! Such a good idea! I have that exact paper and I’ve never thought to use it for something like this. I love how it turned out. 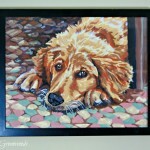 Very nice outcome! It looks like bead board in the pictures! Thank you for sharing with us and our readers at Merry Monday! We hope to see you at the next party too! Isn’t Amazon fabulous? Thanks so much for the comment love! 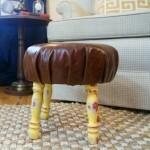 I love anything DIY! And I want those antlers. So cool! 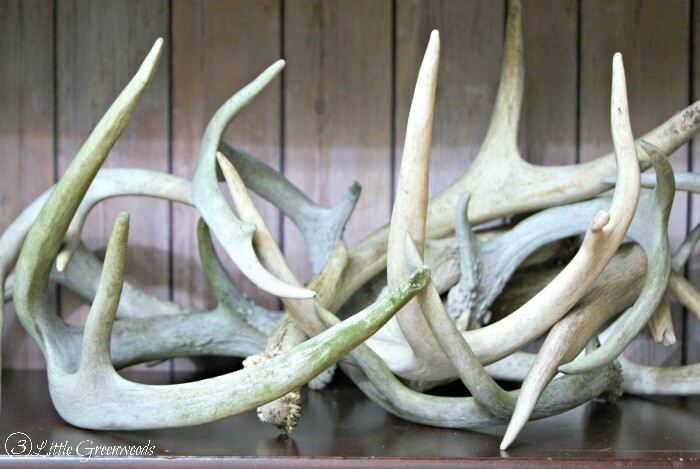 I about died when my husband brought all those antlers home! The green moss on them is so pretty! Ashley, I had no idea they made that kind of paper, what a great idea! And I LOVE an easy update! Me neither! 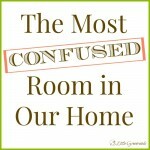 Another blogger buddy shared it with me. Isn’t it fabulous?